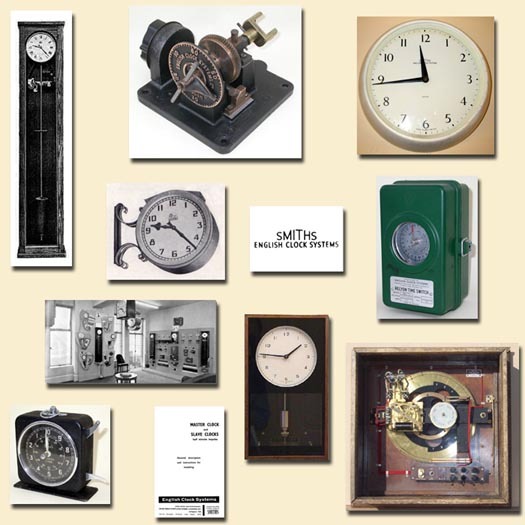 This site shows the results of research into the history of English Clock Systems Ltd, its predecessor Synchro Time Systems Ltd, and their products. The research is continuing, and anyone with an ECS item, or any paperwork relating to either company or their products, is urged to read the Research pages. All photographs and text on this site are Copyright © Martin Ridout 2006. No text or photographs may be reproduced without permission. This site is best viewed using a screen resolution of 1024 x 768 or greater.